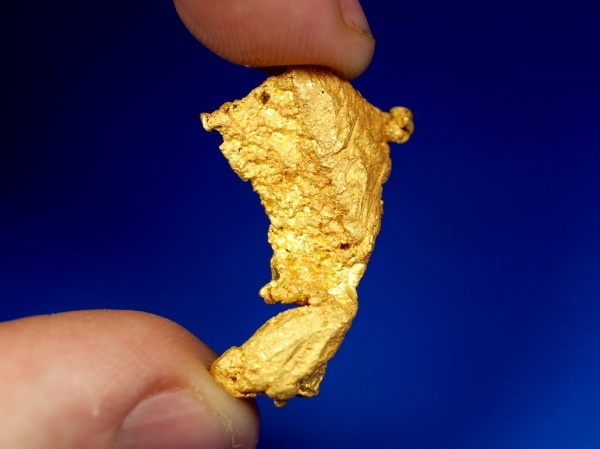 Here's a beautiful gold nugget that was found this past winter in the Mojave desert in Arizona. 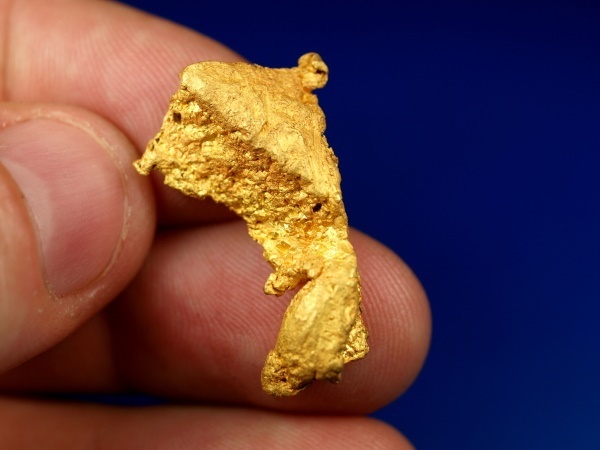 It is an extremely unique piece of gold with a fascinating shape! 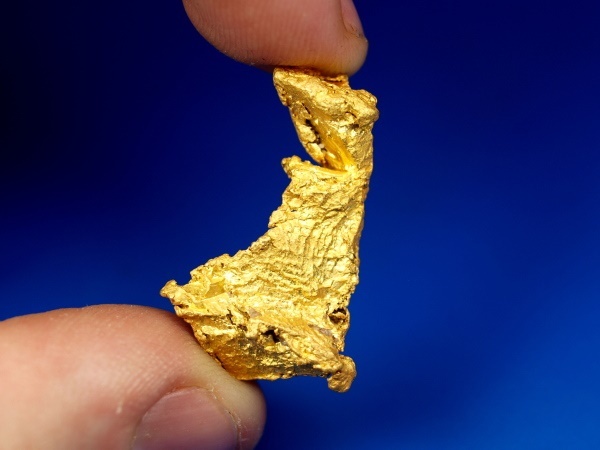 It is rare to see a piece of gold with this kind of unusual shape and texture from Arizona. 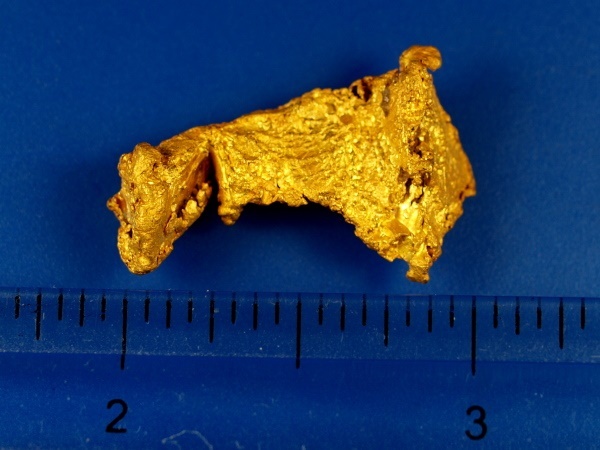 It is a beautiful piece of gold that displays quite nicely. 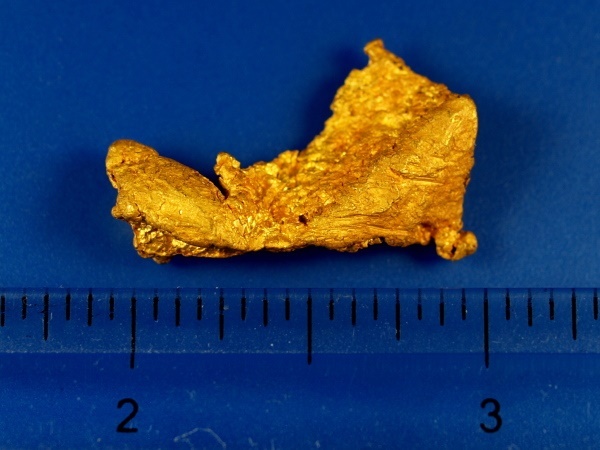 It weighs over 1/3 of an ounce at 11.74 grams.